"The language may not be as accurate as it could be." 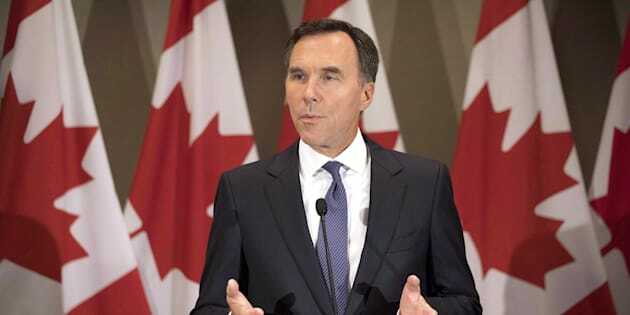 Federal Finance Minister Bill Morneau addresses journalists in Toronto on Aug. 30, 2018. OTTAWA — "Our plan — to invest in people, to strengthen and grow the middle class, and to build an economy that works for everyone — is working. By this time next year, a typical family of four will be $2,000 better off under our plan." — Finance Minister Bill Morneau. Last week, when the federal Liberal caucus met in Saskatoon for election-year planning, uncertainty about pipelines and NAFTA hung like a dark cloud. But Prime Minister Justin Trudeau and his MPs wanted the public to focus on whether they are better off today than they were before the Liberals were in office. So Trudeau plopped talk of Liberal family benefits and tax cuts into his main speeches, while Morneau and other Liberal MPs took to Twitter to humblebrag about how much more money a "typical" Canadian family has in its back pocket today because of Liberal policies. They argue that when the next federal election rolls around in the fall of 2019, a "typical" middle class Canadian family of four will have $2,000 more each year, compared to the pre-Trudeau era. The data comes from a recent Finance Canada report called "Real Progress for Canada's Middle Class." But how did they reach that statistic and is their data actually "typical" for a middle-class family of four? In 2016, the Liberals cut the middle income-tax rate by 1.5 percentage points and introduced the Canada Child Benefit, wrapping together a number of national family benefit cheques into one simpler program that was scaled to income and not taxed. This year the benefit was indexed to inflation, so families with combined household incomes of about $30,000 or less will receive a maximum benefit of $6,496 for every child under six and $5,481 for every child between six and 17. The amount slides as income rises, fading almost entirely once combined household incomes surpass $150,000, depending on how many children you have. * Tax credits of between $75 and $150 for enrolling children in arts and sports programs. During the 2015 campaign, Trudeau promised a "typical family of four" would be $2,500 better off from the Canada Child Benefit. Now the government says the "typical middle-class family of four" will get $2,085 from the Canada Child Benefit, and that once the tax-cut and tax-credit changes are taken into account that typical family will be 2,001 better off. 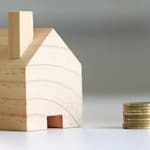 That is based on a number of assumptions, including that the family has a household income of $110,000 that is split 60-40 between the spouses, that they claim $10,000 a year in RRSP and child-care expenses, and that they have two children, one under the age of six and one over the age of six. The Finance Canada chart as it was originally written suggests the $110,000 income is an after-tax amount but a department official says they actually meant before-tax. The after-tax figure is the net benefit to the family. He said they are updating the chart to make it more clear. Several economists who looked at the federal government's middle-class update report say that with the figures and assumptions the government provided, the $2,000 impact number is credible. Trevor Tombe, an economics professor at the University of Calgary, and Miles Corak, a former economist in residence for the federal government and now an economics professor at the City University of New York, both said the government would have deduced the number using reliable Statistics Canada programs. "It passes the smell test," said Corak. "It's a credible document." Corak also said he doesn't think the government cherry-picked the family statistics about income and tax credits in order to get the biggest benefit number to promote. "If they were doing that, they could have gotten a much higher figure," he said, noting a family earning less overall would see a bigger increase because you get more money from the Canada Child Benefit when you make less money. Jennifer Robson, a professor of political management at Carleton University, said the difference between what the Liberals promoted during the campaign and what they are promoting now comes down to two things. The first is that governments have access to far better data than political opposition parties. The second is that the campaign focused entirely on the impact of the Canada Child Benefit alone, while the current figure takes into account the benefit, offset by what was lost by eliminating income splitting. To a family with a 60-40 income split, the benefit of income splitting would have been minimal at best, however. The final question is whether or not the "typical" Canadian family will see $2,000 more than they did in 2015. In other words, is a "typical" Canadian family one with two parents, two children, and $110,000 in total income. Nora Spinks, chief executive officer at the Vanier Institute of the Family, said there really is no such thing as a "typical middle-income family" in Canada any more. "The language may not be as accurate as it could be," she said. Statistics Canada data shows in 2016 only about six per cent of Canadian families had two parents with at least one child under six and one between six and 17, as the government is selling as "typical." The numbers presented by Ottawa are slightly misleading in the language about whether the income is pre- or after-tax, which the government says it will fix. And with Statistics Canada data suggesting fewer than six per cent of Canadian families fit the government's parameters, it's hard to say this is a "typical" benefit for Canadian families. However, a family that did meet the specific parameters as laid out in the government's report will have $2,001 more to spend or save than it did in 2015. For this reason the statement contains only a little baloney.